As the nation’s workers are spending more time than ever before in the office, it’s not surprising that our research found that nearly two thirds (60.9 per cent) of UK employees admit to feeling stressed and overworked. 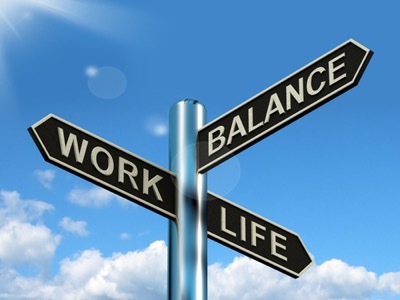 And, it’s no wonder then that further data published by CV-Library earlier this year found that eight per cent of new employees consider moving on from a job if it does not provide them with a suitable work-life balance. For working mums, this number can rise significantly, with many placing a strong work-life balance on the top of their priority list. I’m a business owner, so I understand the personal needs around getting the right balance between work and personal life, and the necessity to accommodate this for my staff. However, as workloads increase, it can be difficult to figure out the best way to achieve this. Below, I offer advice on how to ensure a good work life balance, including how to approach your employer about asking for flexible working and best practice for switching off. 1. Why is it so important? It’s pretty simple: when your life is unbalanced, you will start to have doubts about your job and your ability to meet demands (both inside and outside of work), suffer from increased fatigue (and even anxiety and depression) and feel you have no time to complete even the smallest of tasks. We all have days when we feel like this, but when it starts to eat away at our happiness in our professional and personal lives, that’s when there is a real problem. The happier you are, the more productive you will be in your role. 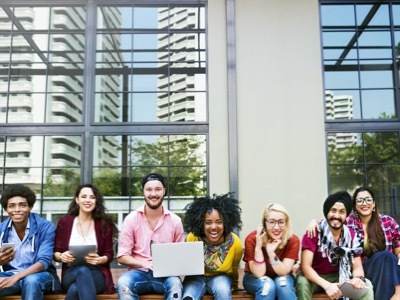 In fact, a study last year by economists at the University of Warwick found that happiness led to a 12 per cent spike in productivity, while unhappy workers proved 10 per cent less productive. And when you feel more motivated and productive, you’ll make better decisions about your work/life balance. 2. How can I approach my boss? The proportion of the UK’s workforce struggling with stress is unsustainable and worrying. But worst of all is the fact that such stigma has been attached to this issue, meaning employees are suffering in silence, and are too scared to tell their employers what’s really going on. The reality is that many employees worry that admitting to feeling overworked or pressured will automatically raise concerns around their ability to do their job. But, workers should rest assure that the very best employers are working to challenge this stereotype and do want to provide a calm and supportive environment for their staff. Part of this though is having the confidence in yourself to speak up when times are tough. While approaching your manager can feel daunting, sending a short email, explaining how you are feeling and that you would like to set-up a meeting to discuss, can do wonders. It is in these one-to-ones where you can then talk about the options available to help secure the right balance, such as flexible working, which has grown in prominence in recent years. In fact, further research from CV-Library found that 84.3 per cent of home-workers believe they are equally or more productive than office-workers, with 83.2 per cent finding it easier to successfully manage a good work/life balance. 3. I need to switch off – how do I do it? Another part of creating the right balance is knowing how to fully switch off from work when you are out of the office. And this isn’t easy – I understand how difficult it can be to leave work behind you. But, there are certain techniques I use to help myself unplug and unwind and I encourage my staff to do the same. Firstly, as a society we’re always ‘switched on’, and technology means that we can access our emails from pretty much anywhere, at any time if we so desire. Forcing yourself to turn off your emails from your device, or even removing them altogether, during non-working hours is a great start. If you’re worried about missing anything, let your colleagues know what you will be doing and ask them to call you about any urgent matters. That way, you’ll rest assured that everything is in hand while you’re not around, and that you won’t be missing out on anything too important. Another action is to accept that you cannot do everything. We are only human, after all. Allowing yourself enough time in the mornings or evenings to chill out and focus on what’s important to you, is key. And don’t forget to listen to your intuition. If you are feeling out of balance then you probably are! While everyone works differently, we should all be working to a common goal, and that is a good balance between our personal and professional lives. Following my advice should at least help you to consider the importance of doing so, and I hope that it inspires you to invest more time in getting the balance right. This article was provided by Lee Biggins, Founder and Managing Director of CV-Library.